I’ve never been one to aim to rock the boat. I appreciate that governments may not and cannot tell us everything that happens, and that some secrets are best kept as that: secrets. But over the past few years, I find myself growing more and more distrustful of the various governmental entities found throughout the Cluster. There have been far too many unanswered questions, too many unexplained actions. Why has Empress Jamyl all but vanished from the public scene? What, exactly, have the Sisters of Eve been doing in Thera, and why haven’t they released more information about their colonization of the system well before general access opened up? On a more personal level, why has CONCORD unilaterally moved to shut down my research project? Rumor has it that they’ll be moving to do so again soon with little to no comment on their part. The list of questions goes on and on. 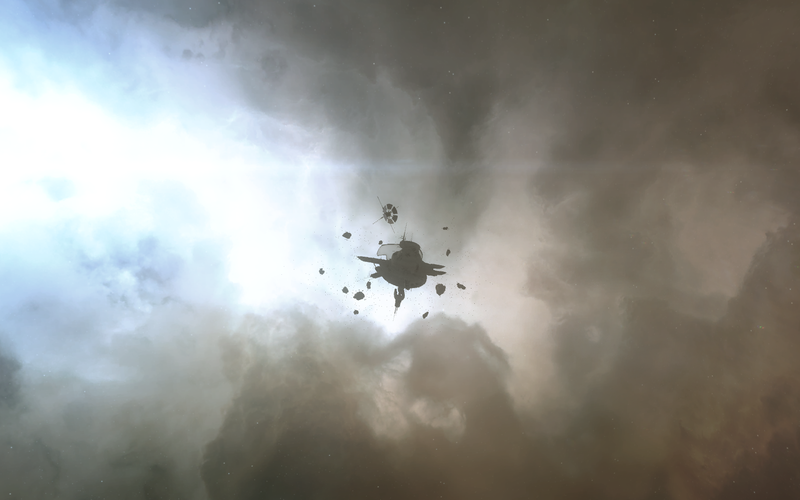 The Hel-class supercarrier wreck can be seen nearby to the left. Today, though, I want to focus on a question that we didn’t even know we had until fairly recently. But first, a bit of history may be useful. We all, of course, remember the horrors of the Seyllin disaster. Five hundred million people died in a matter of hours after a completely unpredicted stellar eruption shattered Seyllin I, along with its mining colony. Although much less disastrous, we know that there were 10 other so-called “main sequence events” that occurred around the Cluster at roughly the same time. Most of these other stellar outbursts were buried under the repercussions from Seyllin, but a close watcher of the news may have noticed that beyond Seyllin, a Thukker caravan, called the Lakat-Hro, was also lost in SL-YBS in the Great Wildlands. Sanmatar Shakor himself confirmed the loss. At the time, however, it seemed like a mere drop in the bucket. Sleeper drones can be found prowling in the wreck. However, it seems that not only did portions of the Lakat-Hro great caravan survive, but they somehow got transported to Thera. Whether the Caravan made its way to Thera beforehand and the Minmatar used Seyllin as a convenient cover, or whether the Seyllin explosion somehow opened up a temporary wormhole that the Caravan was able to dash through before betting smashed to bits, has remained unconfirmed by the Shakor administration to this day, despite proddings from fellow writer Rhavas on the subject. Regardless of how the Caravan arrived in Thera, it ended up suffering an ironically identical fate to the one it missed in SL-YBS. 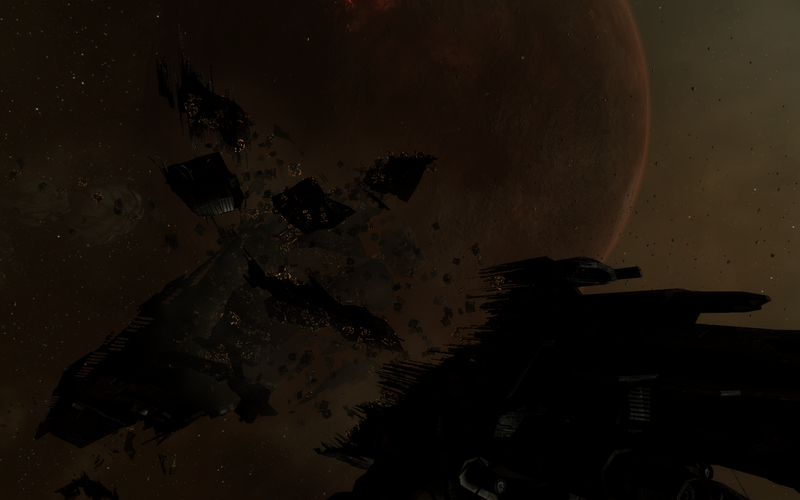 Stationed near the devastated Expedition Office, the remains of the Hel-class supercarrier Matyrhan Lakat-Hro can be found scorched near the Sisters of Eve’s former command center in Thera. 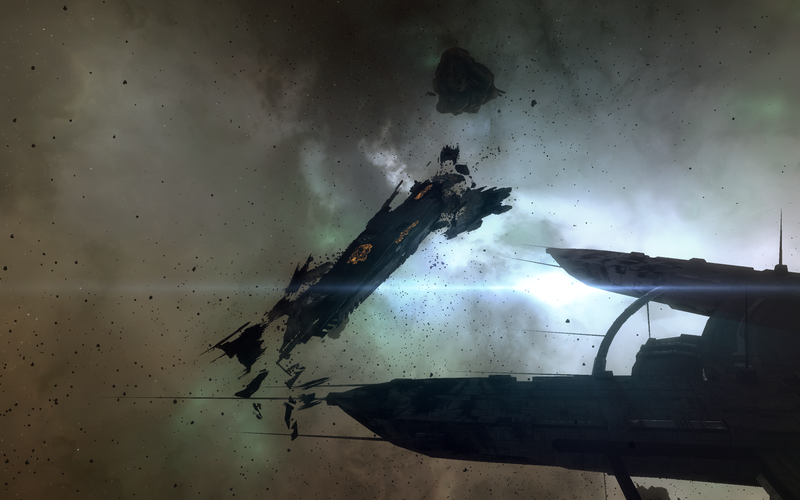 The wreck drifts in orbit around Thera VII. Scarred and scorched by devastating forces, this wrecked station apparently served as the command post for the Sanctuary expedition to Thera. Wreathed in clouds of plasma, gas and dust, the station’s destruction, while not absolute, is profound and the interior has been gutted by fire and explosions. 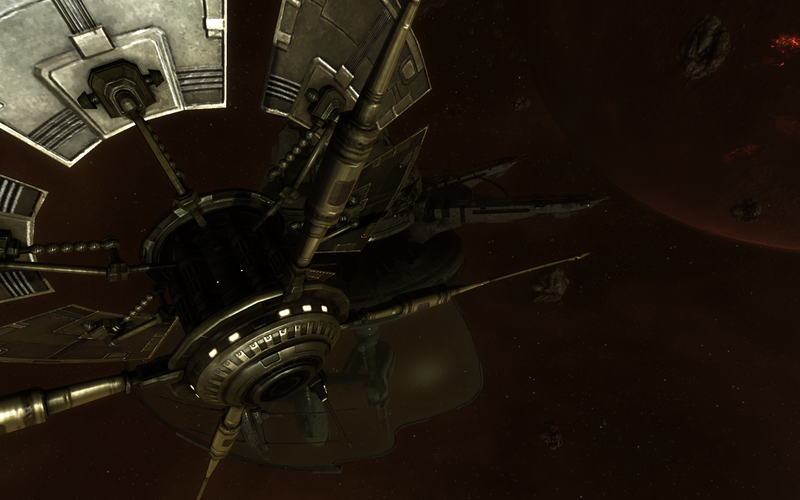 The station itself, of clearly Gallente design, sits near the shattered remains of Thera VII. It’s now an empty husk of a station, with glowing plasma clouds still slowly dispersing from the station and rings of debris, both from the station itself and the planet below. 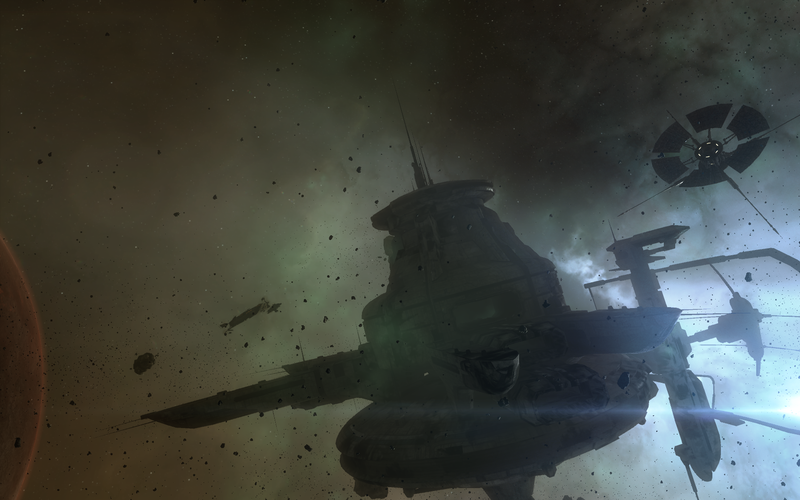 The relay is nearly untouched… except for the disablingly precise weapons fire. Apparently a hastily converted radiation monitoring satellite, this device seems to have briefly functioned as an emergency communications relay. It shows relatively few signs of damage but seems to have been knocked out of commission by several precise energy weapon strikes to its processing cores. 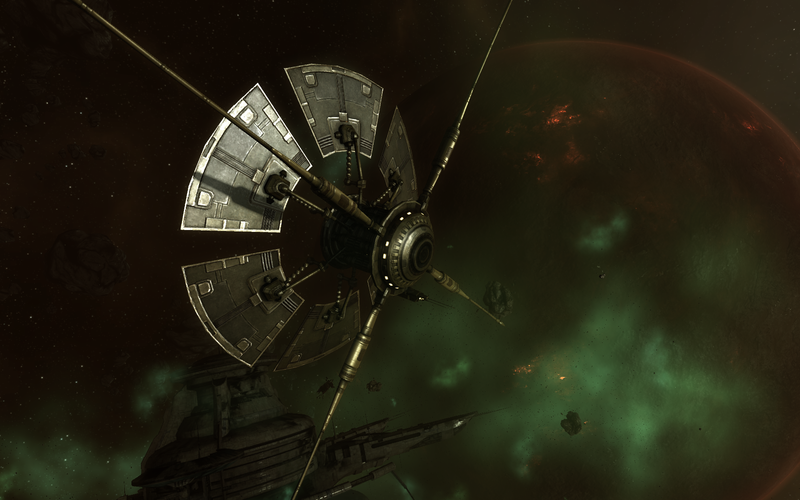 The fact that the relay was relatively untouched suggests that it was setup after the Thera main sequence event struck the system, bringing ruin to much of the Sisters’ inner stations. That would certainly necessitate emergency communications equipment from any possible source, including converted radiation monitoring satellites kept in storage. There’s no way such a delicate structure could have survived when every other surrounding structure was so completely annihilated. What was much more puzzling was who could have struck the relay after it had been converted. It seems unlikely the Sisters would attack their own (barring more evidence of a schism within the organization, at least), and energy weapon signatures don’t match with Minmatar tech. Which means we have at least one more player in the Thera mystery. Two possibilities spring to mind: either the Sansha or the Sleepers/Drifters. Both entities have at least some connection, however vague, to the events in Thera, but without more information from the notoriously tight-lipped humanitarian organization, we may never know for sure. A closer look at the wrecked Matyrhan Lakat-Hro. Surviving markings on the wreck of this Hel-class supercarrier identify it as the Matyrhan Lakat-Hro. In many places symbols of the Thukker Tribe are present along with numerous caravan markings that appear to confirm a link to the lost Lakat-Hro Great Caravan. The presence of such a vessel in the Thera system has drawn attention to the Thukker contingent working with the Sanctuary here but no comment on the matter has been forthcoming from either party. Early delvers into the wreck’s scorched interior soon discovered that all data storage devices had been carefully purged and destructively irradiated. Again, what caught my eye wasn’t the ship’s scorched interiors, but the fact that someone had gone through and wiped any potential data sources struck me as very odd, especially so soon after the disaster. Perhaps it was the same entity who attacked the Relay? Of course, I wouldn’t be surprised if the Sisters themselves had gone back to wipe the Matyrhan Lakat-Hro’s databanks in an effort to protect their many, many secrets. Regardless, its presence in Thera helps to highlight the close working relationship that the Thukker and Sisters enjoy. But it once again only raises more questions than answers. 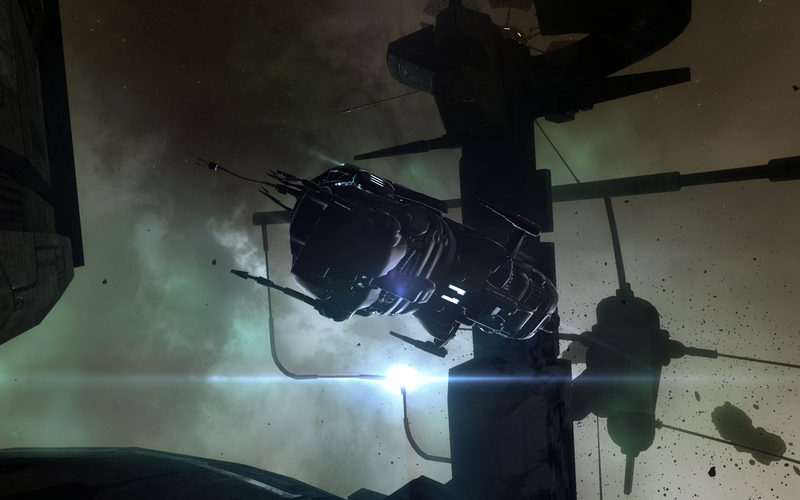 As I finished my survey, I sighed, briefly debating calling it a day in Thera before remembering that if I docked in the system, I’d almost never successfully undock thanks to the omnipresent campers in the system. 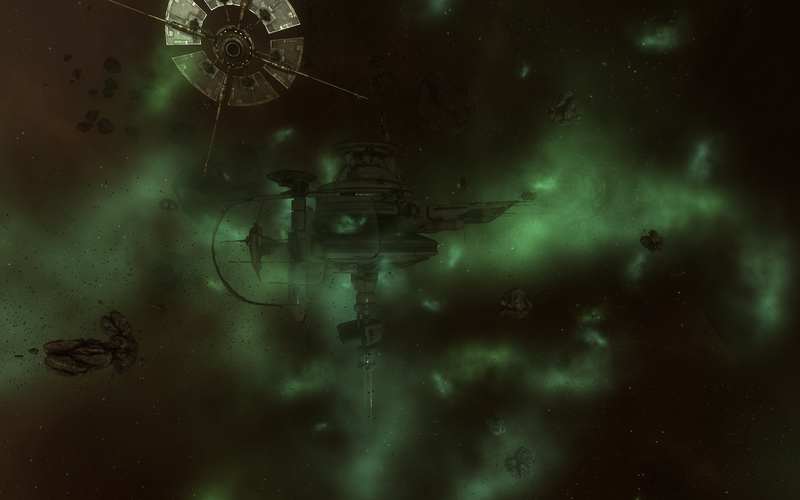 Capsuleers: yet another thing I could never trust in New Eden. I had always considered myself a good citizen but the rash of unexplained governmental actions taken has made me begin to question exactly where my loyalties lie. I had always supported CONCORD’s presence, seeing it as a necessary check on capsuleer power, but their refusal to act on the Drifter threat (beyond releasing panicked press releases) and, indeed, to actively cover up parts of it, has lessened my enthusiasm for the organization. And the Sisters… well, I haven’t trusted them in ages. At least with capsuleers, you know not to trust them from the start. Potential Hazards: Thera is well-known for being a hotbed of player activity. 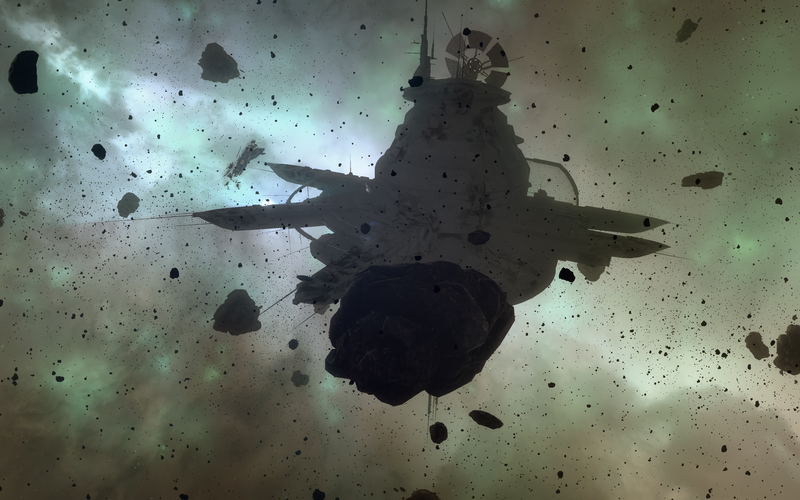 Despite the system size, fights break out often, and the working stations in system are often gate camped, as can the wormholes into and out of the system. Caution (and cloakable ships) are strongly advised. This entry was posted on May 9, 2015 by mark726. It was filed under miscellaneous and was tagged with miscellaneous.